Malaysian fans were treated to a special up close and personal with Hong Kong superstars during the launch of All Things Girl infotainment program at Sunway Pyramid a few weeks ago. 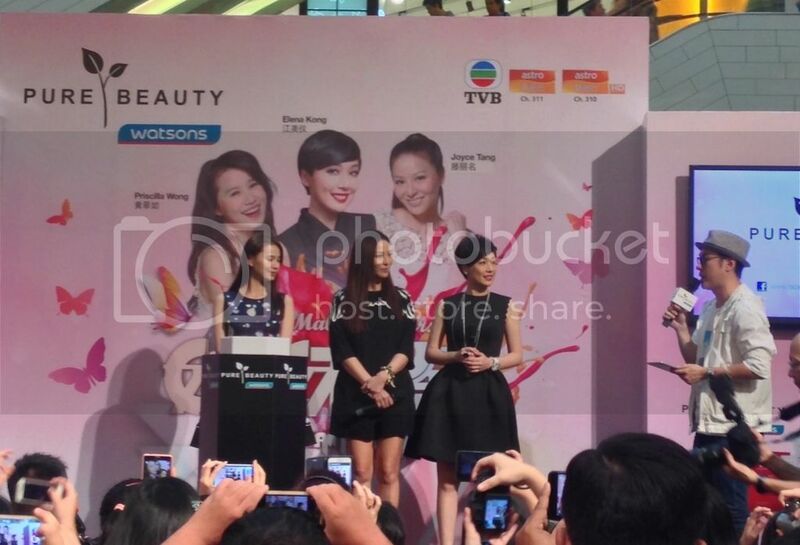 Pure Beauty exclusively at Watsons is proud to bring "All Things Girl" infotainment series to Malaysia by adopting the concept aired in Hong Kong, but the content is tailored and suited for the local audience. 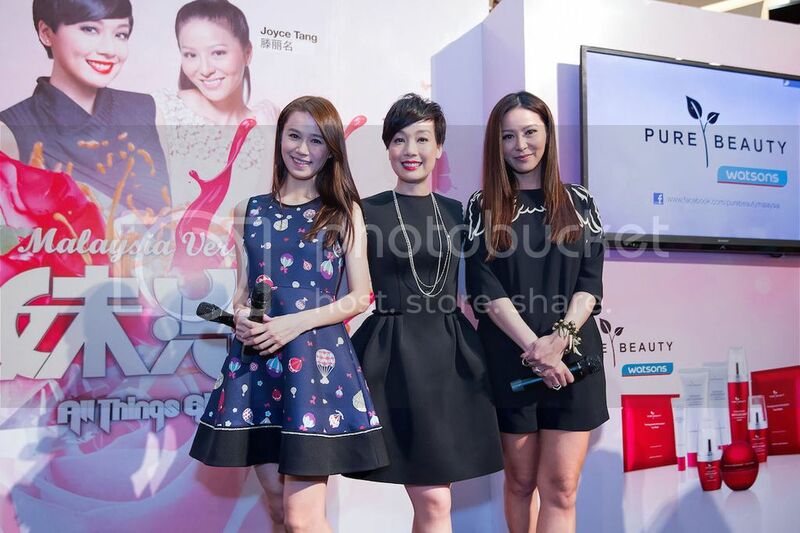 Priscilla Wong, Elena Kong and Joyce Tang were greeted by nearly 500 guests, members of the media and screaming fans at the launch where the Hong Kong artistes attended to a meet and greet session with lucky Watsons shoppers. During the launch, the Hong Kong superstars treated the audience with a special hindsight of what was to expect from the special 6 episode program. Each of them will host each episode and would cover a topic relevant to women today. There will be special guests invited for every episode to speak on the topic and that every woman can relate to. The audience and especially Watsons customers also had the opportunity to learn from the Hong Kong superstars who shared on some personal beauty tips and also assisted in some beauty demonstration with Pure Beauty exclusively at Watsons products. Over the past decade, Pure Beauty exclusively at Watsons has embarked on a search for the perfect antioxidant, and along the way discovered many more of nature's skincare secrets. Inspired by Korean skincare innovation, incorporating the finest natural ingredients and made possible by leading edge technology, Pure Beauty exclusively at Watsons have created unique skincare products based on powerful antioxidant blends for visible, long-term results. All products are dermatologically tested and proven to be safe and effective solutions leaving the skin looking healthier, softer and younger. The skin care range available at Watsons stores are the Pomegranate Antioxidant and White & Bright range respectively. 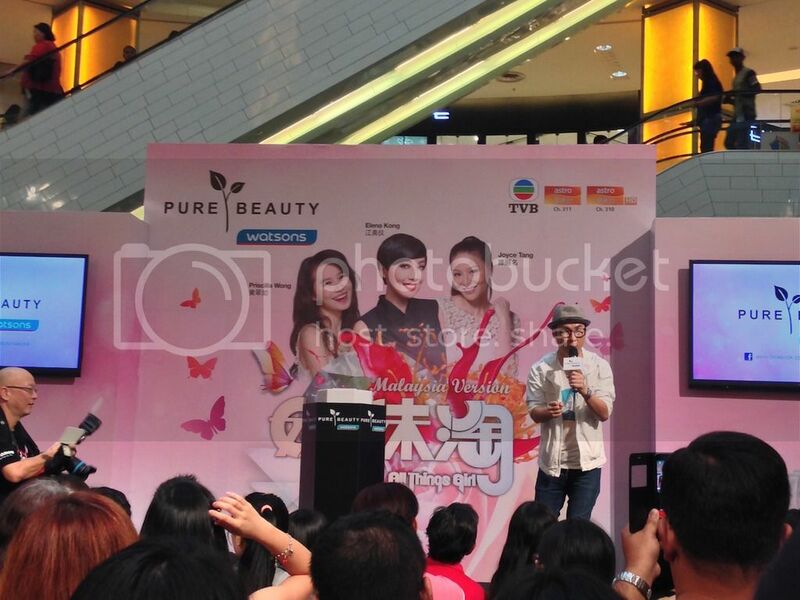 All Things Girl is a joint collaboration between Astro and TVB and sponsored by Pure Beauty exclusively at Watsons. The program will start airing on 6 September 2015 at 9pm and will be aired on Astro’s Wah Lai Toi and Wah Lai Toi HD channels respectively.